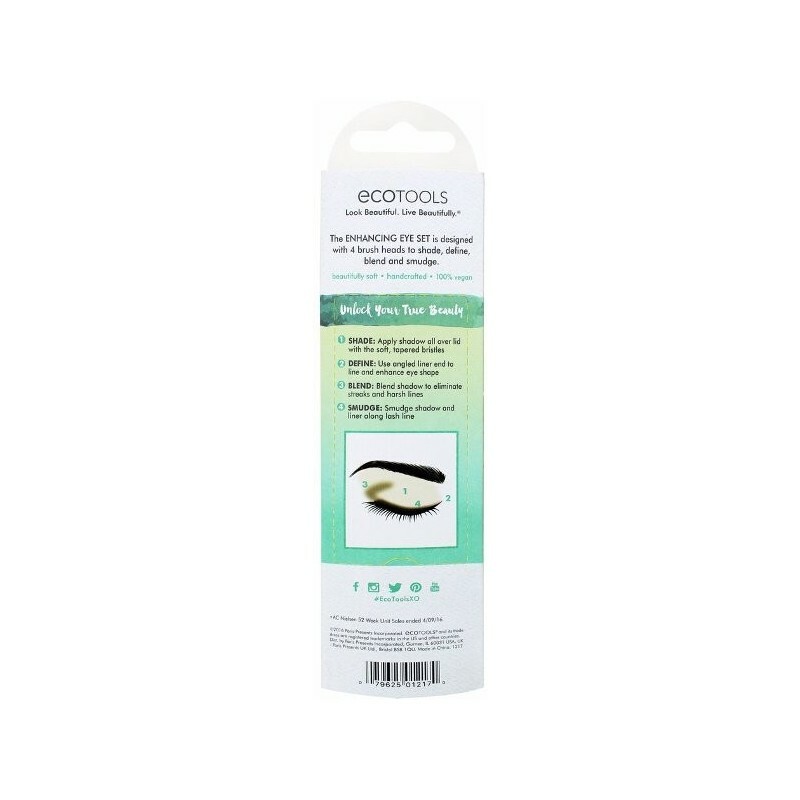 Eco friendly vegan brush set with 2 high-quality brushes. 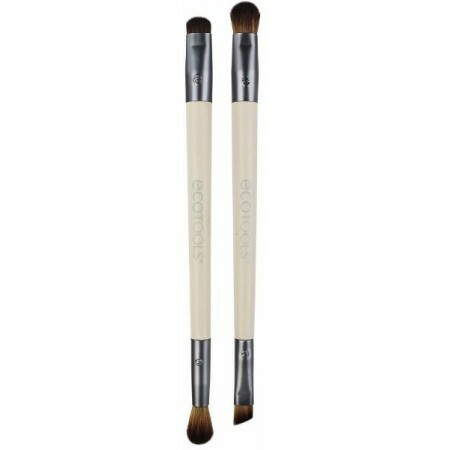 Bamboo handle, recycled aluminium, synthetic cruelty-free bristles. 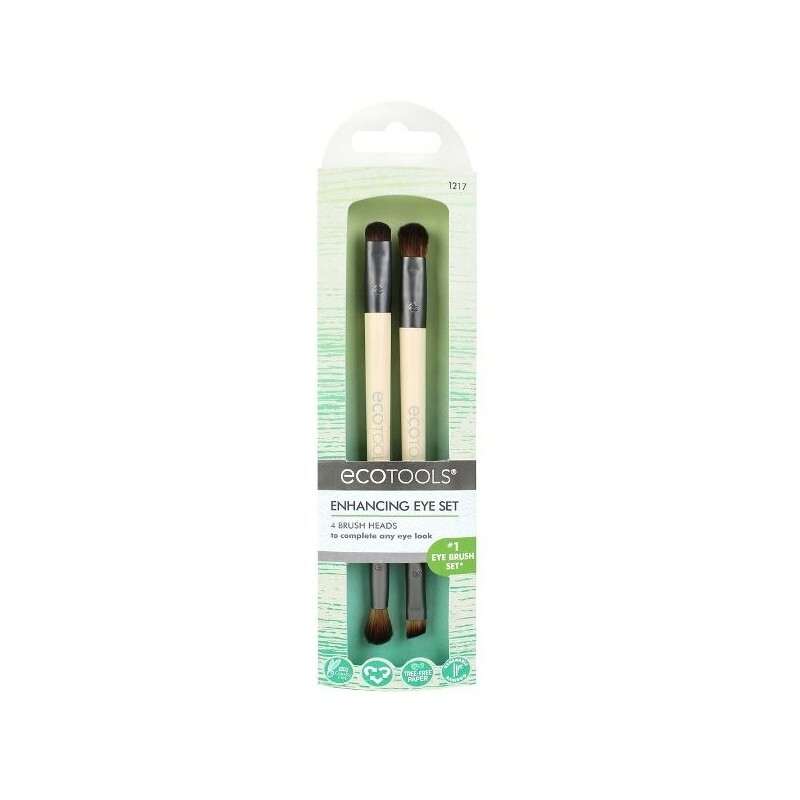 This four-tool pack is condensed into two brushes with a brush head on each end, freeing up space in your makeup bag and making transformations from day to night a breeze. 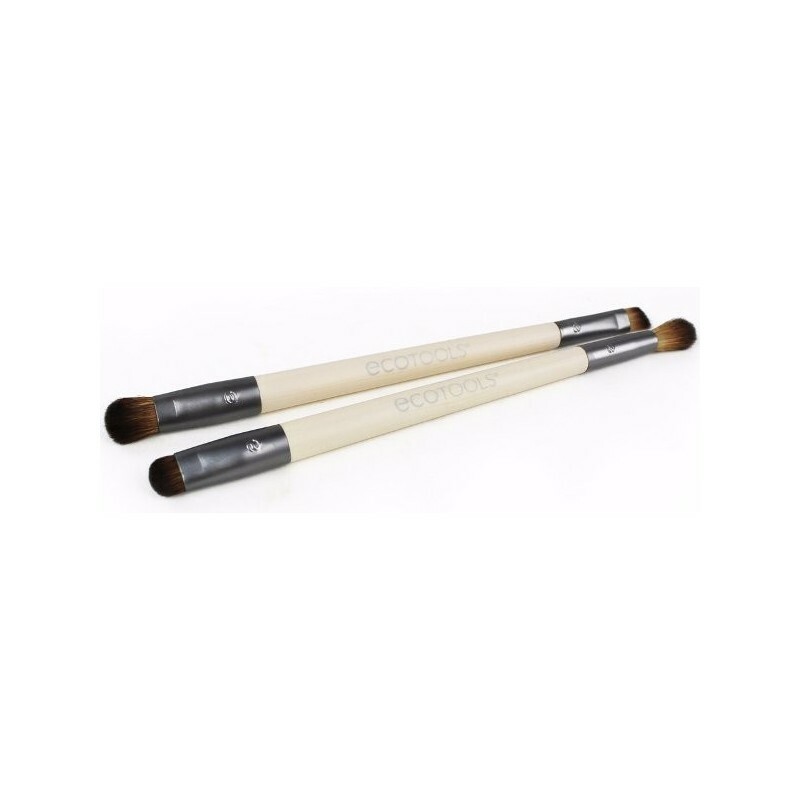 1 x Shade & Define Brush: Apply shadow all over the lid with the shading brush then flip it over and use the defining brush to add depth to the eyes. 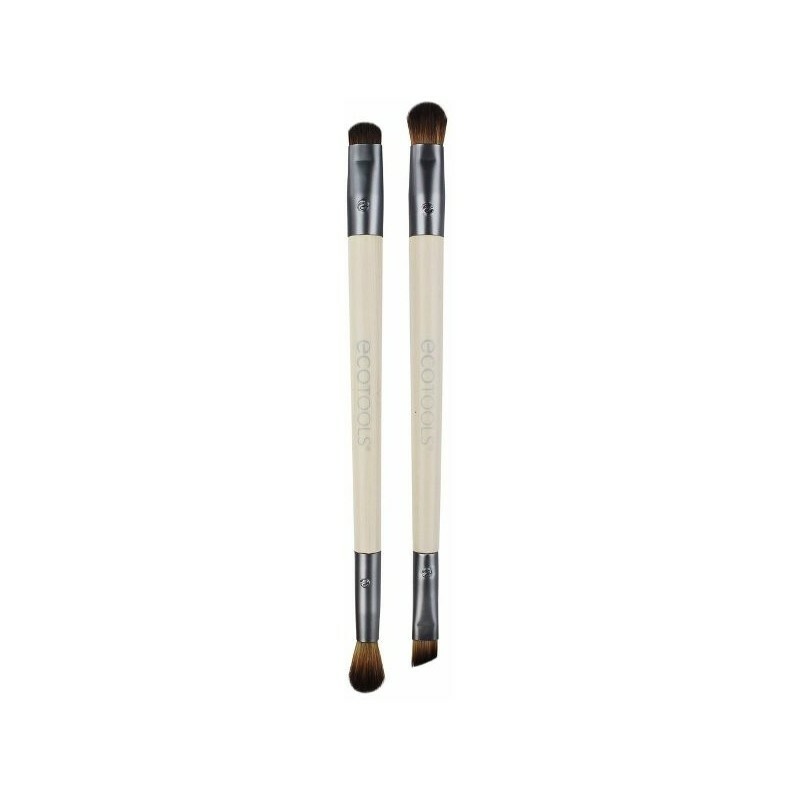 1x Blend & Smudge Brush: Blend shadow to eliminate harsh lines with the blending brush, and use the smudge brush to create soft definition along the lash line.